I can't post pictures or really say too much because I don't want to spill any corporate secrets. But I am enjoying the experience and am learning as much as I can. 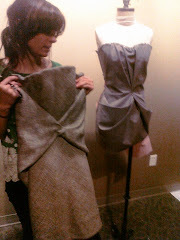 Thank you to Lindsey Gong for her perfect pattern making and sewing!